If you’re new to my autistic zombie apocalypse, Season One is marked down to 99 cents! Season Two is marked down to $2.99! But there are more ways to save you cash below, and get an extra book! 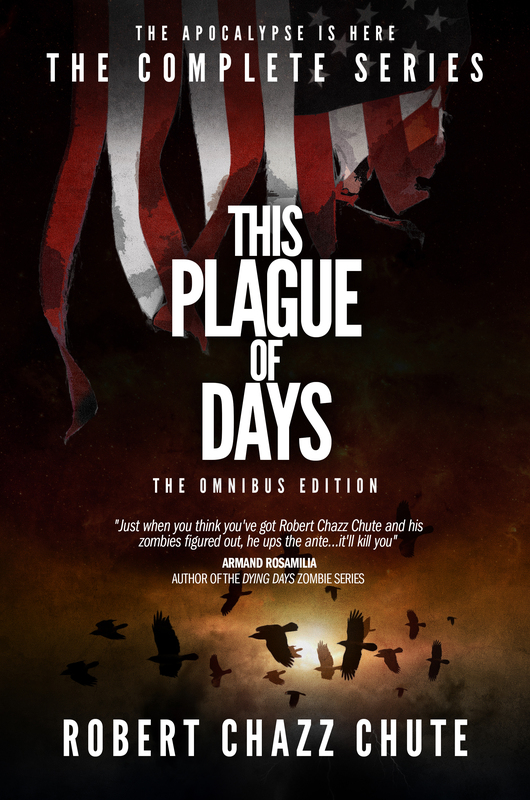 If you haven’t read any of This Plague of Days or if you prefer to read it all in one huge ebook, you’ll save a couple of bucks with your purchase of the This Plague of Days, Omnibus Edition (which delivers all three seasons back to back to back.) So, you’ve got several options, all designed to save you some bucks and finally find out what happens to Jaimie, the Spencer family, the European refugees, Shiva, Misericordia and…well…all of us, actually. The end of the world gets weird and scary and…well, you see. There’s a bonus offer, exclusive to those who purchase the TPOD Omnibus Edition: another free thriller! For those who purchase the Omnibus Edition, there’s a private link to a video. I chat a little about the journey, but I also have a question for you. Answer that question in the comments thread of the video and I’ll send you my next thriller (coming this summer) for FREE, my gift to readers. So, for six bucks, you’re actually going to get four books and save even more dough if you get the This Plague of Days Omnibus Edition. I’m so grateful to TPOD readers for their support and enthusiasm for the saga. Sincerely, thank you for digging This Plague of Days. It’s been quite a ride and I’m very happy with how the finale has turned out. I think you’re going to like it, too. TPOD3 goes big and wide. UPDATE: Since Season One is now just 99 cents for the entire thing (which includes all five episodes), the individual episodes for Season One are disappearing from the Amazon store. This is an effort to avoid people paying for each episodes when they can get all of Season One for one incredibly low price. Yep! 99 cents! Pick up the first book in the series here. I think if I write a chapter a day for two weeks straight, this revision of This Plague of Days will be done with a new ending. There will be tweaks and another run-through or two, of course, but we’re definitely getting there. Work continues apace. Oh, and plaguers will be glad to know a romance blooms, old friends return from the tent city and, weirdly, there are a lot of fish in Season 3. (Don’t worry. It works. It’s creepy and disturbing and teetering on the precipice of disgusting, but it works.) We also find out precisely what The Way of Things is. The secret hidden away in TPOD is…still safe. Season Two hits in two weeks. Click the cover to go grab Season One. Cover by Kit Foster of KitFosterDesign.com. 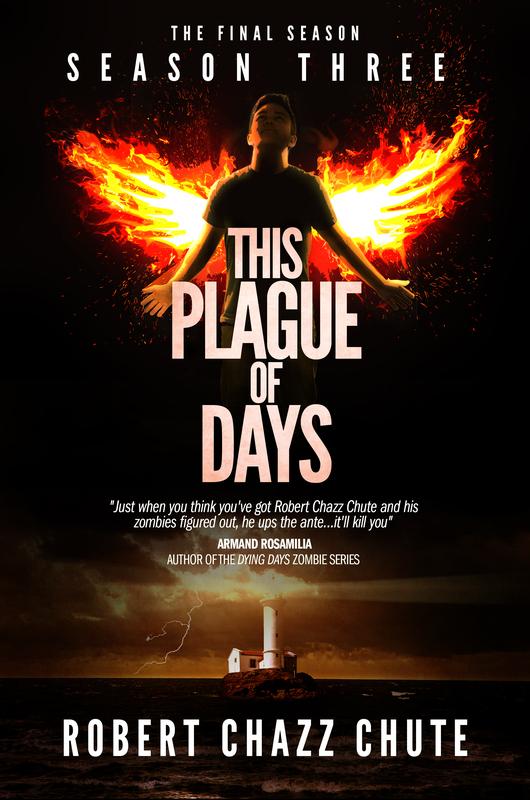 This Plague of Days is kind of like two books in one. It begins with a world flu pandemic that makes civilization grind to a halt. Then the virus mutates to a form of human rabies that turns ordinary people into cannibals. As a terrorist organization works to spread the contagion, the new strain of the virus rises with the mayhem. In the heartland of an America falling apart, a boy on the autism spectrum discovers he has curious abilities in the midst of the chaos. A war is coming as forces for good and evil come together on a collision course. I’m so excited to finally release season one. You can get the episodes week by week for 99 cents each or buy the full first season for just $3.99. (Take the discount!) If you enjoy the book, please do review it. Thanks to the editorial team at Ex Parte Press. Many thanks for your suggestions as I built this huge story. Season Two arrives in September.